Filling a small aisle on a house may become the best place to create indoor garden. Hang some flowers will make it more captivating. Some succulents make perfectly add wonderful feature. Let the wall in white for admirable room design. When the plants need more sunlight and have enough soil, putting them by the window will be the best decision. It makes room fresh and pretty. The natural plants will grow up with low maintenance. Modern interior deals with putting indoor garden to improve home decoration. Natural feature and fresh air bring the house looks dazzling. 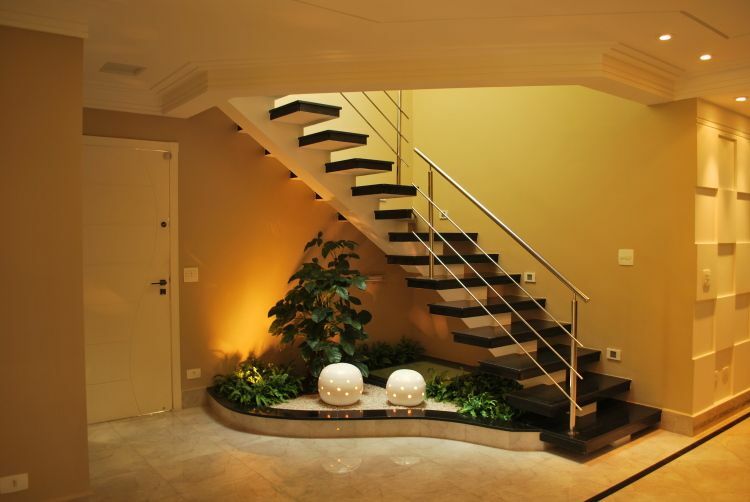 Under staircase is the most favorite place to create indoor garden with various plants. Instead of putting some cabinets, planting indoor garden looks better for this hallway. Even, big trees can be part of it. Add a touch of mirror reflect the beauty of natural indoor garden perfectly. Put them next to glass window to get enough sun light. A Japanese indoor garden also may be implemented in a modern house style. It comes with big stone and grass with simple trees. Look fresh for a room though in little space. Don’t forget to add pebbles as well. Don’t let corner side room empty. Put some plants to make it look fresh and cozy. Cactus in a big pot or others green plants may look better. Let it be one the fresh air sources for whole room. Make sure all pants get enough sun light. For a modern house in urban area, planting green walls is a must. When no more space indoor or outdoor, green wall comes with its statement as the solution for having indoor garden. Some plants for bathroom look fresh and natural. It seems like in a lake with green plants anywhere. 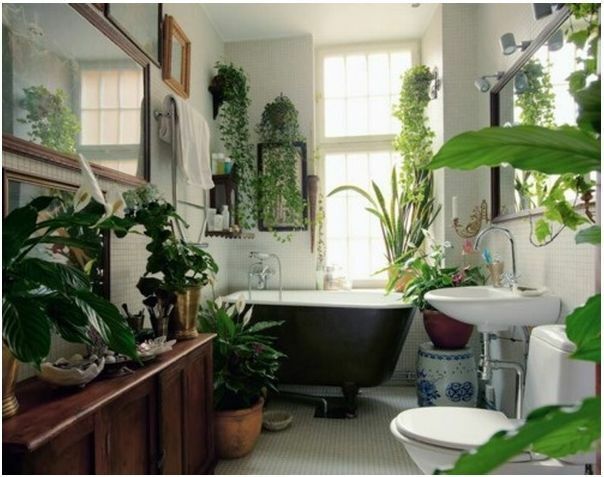 Here, feel free to have green plants for more attractive bathroom design.